Today it is easier to record and analyze information about what each of us says and does more than ever before. And while this used to be true primarily about activity on the Internet, today’s incredibly cheap cameras and sensors mean that constant data collection is rapidly proliferating in the offline world. Given this inexorable trend, will there be any privacy left? In particular, what is to become of restrictions on the government’s power to engage in surveillance of private citizens, and what will the Fourth Amendment’s prohibition on “unreasonable searches” mean in the 21st century? Join an attorney with the ACLU’s Speech, Privacy & Technology Project for a tour of the organization’s recent work to ensure that as technology advances, civil liberties will not be left behind. 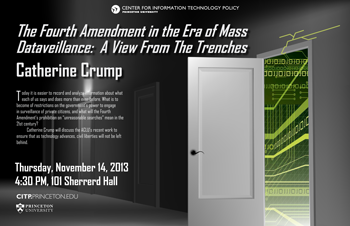 Topics will include the ACLU’s recent litigation against the NSA’s mass call-logging program. 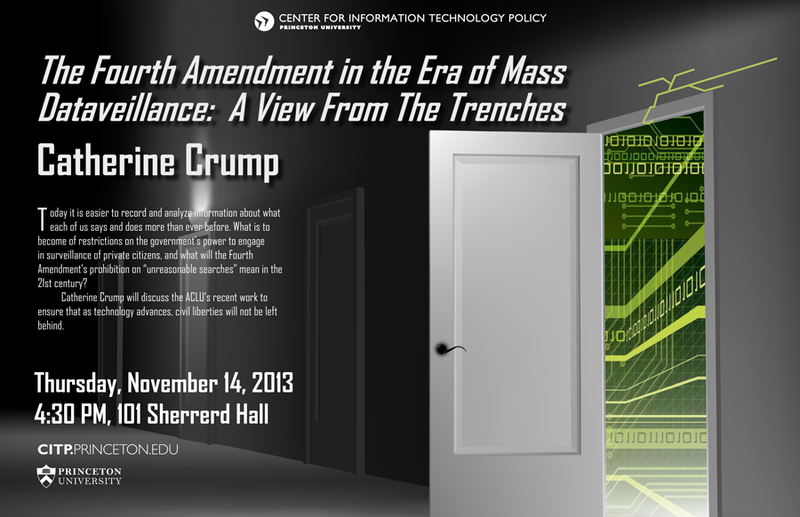 Catherine Crump is a staff attorney with the ACLU’s Speech, Privacy & Technology Project as well as a non-residential fellow at the Stanford Center for Internet and Society. For the past eight years, she has been on the forefront of litigation and advocacy in the area of free speech, privacy and new technologies. She has testified before Congress and the European Parliament about such topics as warrantless cell phone tracking and the NSA’s mass call-logging program, and has presented argument before courts around the country.